These will fit the ArtBySunfire 3" x 5" or 4" x 6" index card binders or storage bins. You can order 1 set with 5 dividers or 1 set with 30 dividers. 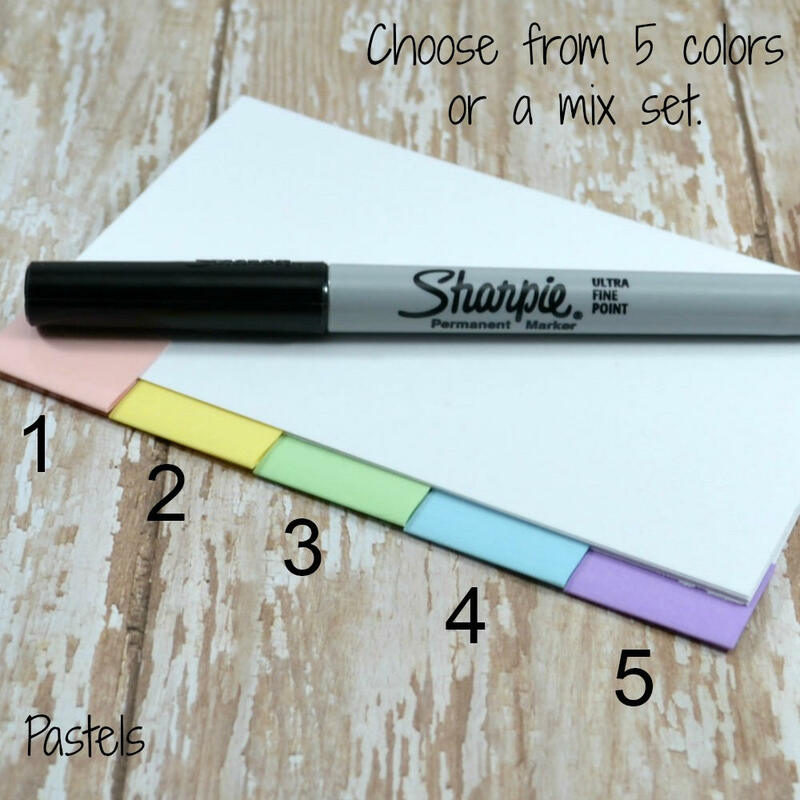 Choose from PASTELS color tabs with mixed or solid colors and with or without holes. The dividers are made with a heavier paper cardstock. Each tab has been carefully covered with a glossy laminate. The tabs are blank for you to add your own recipe card categories or any other information that will fit your organizing needs. I use an ultra-fine point permanent marker to write on the tabs and love the results. Some of the permanent markers can work like a dry eraser to write on the laminated tabs. Just rub off (with a little pressure), if you make a mistake and rewrite. Leave it alone and it stays there. There is a beautiful rainbow of permanent marker colors available that you might want to try! Well made, pretty colors, and great quality.